After my trip around Australia I had the possibility to make some stopovers on my way back to Holland. For me it was clear that I still wanted to see Thailand, Cambodia and Vietnam but quite impulsively I also made a stop in Hong Kong. Now, when I look back on that decision, I do not regret it for one second. Besides Macau, Hong Kong is the second Administrative Region of China. 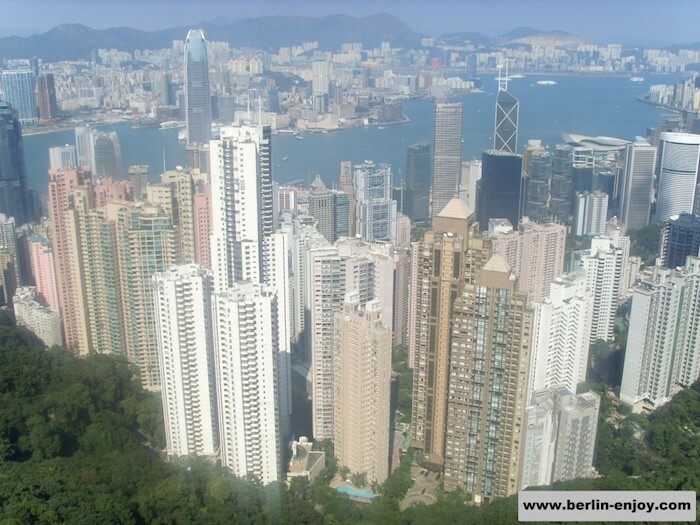 Much more interesting is the fact that Hong Kong consists of 236 islands and has a land mass of more than 1100 m². All together, a little bit more than 7 Million people are living in Hong Kong. The amount of people per square meter is quite extreme if you compare them to most countries in Europe. Take Holland for example: Only double the amount of people but the country is more than 40 times as big as Hong Kong. That Hong Kong is crowded will become clear in the first hours after arrival. At the airport (Chek Lap Kok) you will probably take a taxi to the center of Wong Tai Sin or Kwun Tong. The ride will only take about 30 minutes but when you get out you will realize that you are in a total different part of the world. Partly because there is no time to acclimatise, my first tip is to book your accomodation in advance. I arrived on a saturday around 22.30 and remember that I felt quite lost in the first hours. 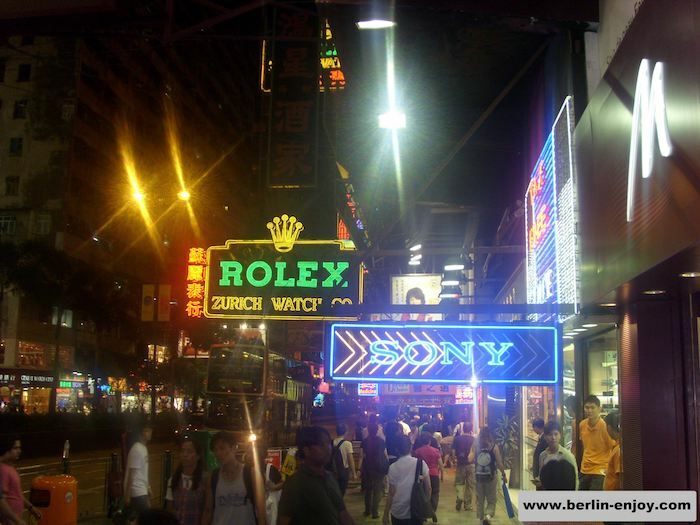 Besides the rich culture, Hong Kong also has a lot to offer it’s visitors from all over the world. The different parts of Hong Kong are very versatile and you can chose between a great amount of activities during your stay. From chilling on the beach (Repulse Bay) to a nice afternoon of shopping and from a historical temple on Lantau Island to a lightshow in the center: Hong Kong has something to offer for everyone. Lantau Island is the most western Island of Hong Kong. In my opinion this part of Hong Kong is very exciting because it offers a perfect mix of nature, attractions and entertainment. 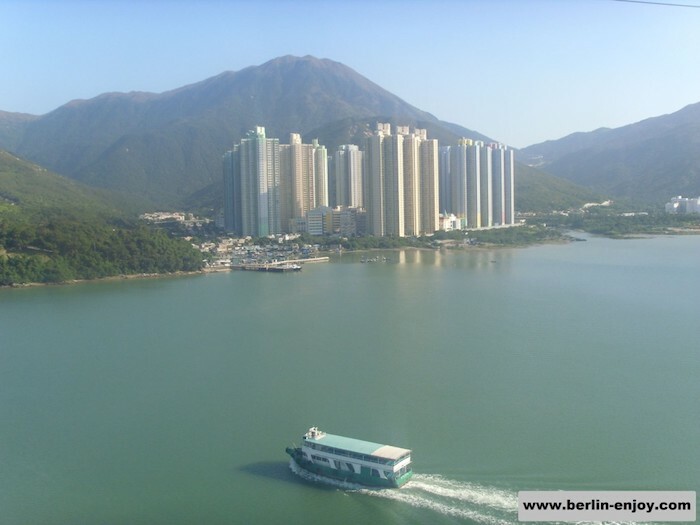 I would recommend to travel to Lantau Island by boat. Hong Kong is even more beautiful when you are out on the water and you will enjoy it a lot more than going by train. When you are on Lantau Island, you defenitly have to visit the Tian Tan Buddha (or Big Buddha). This is the biggest sitting Buddha in the world. 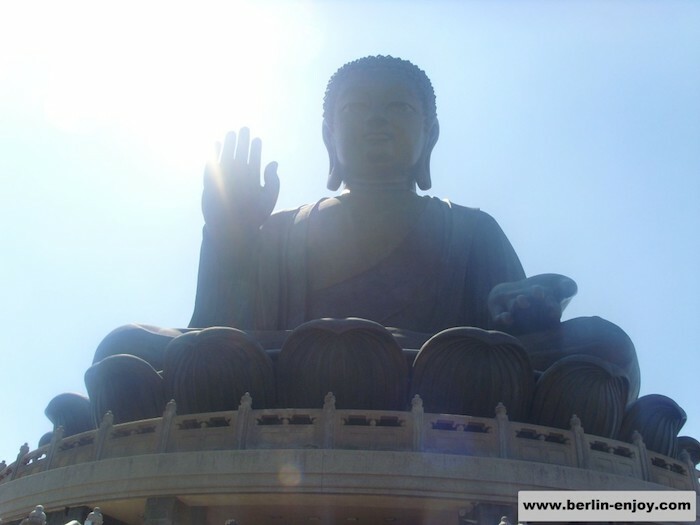 The buddha is 34 meters tall and can be spotted already from far away. 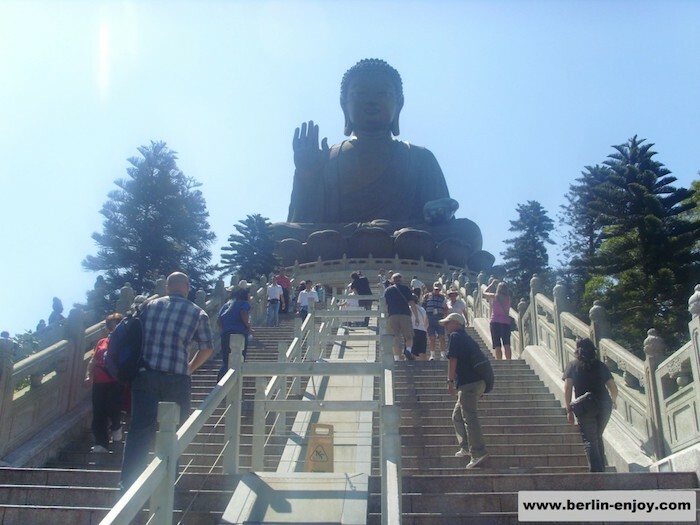 The Tian Tan Buddha is one of the five large Buddha’s in China and can be reached by climbing a large stairs. 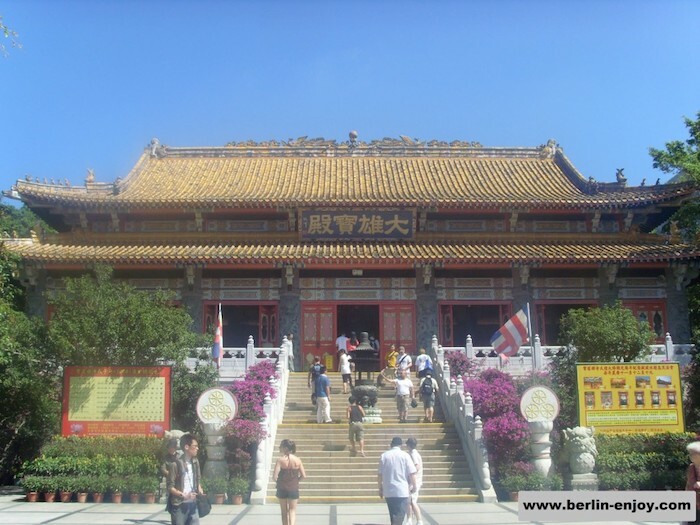 The Big Buddha is owned by the Po Lin Monastery which is located opposite to the Buddha. The Po Lin Monastery is a Buddhist temple with a special atmosphere and a lot of interesting Buddhistic statues. 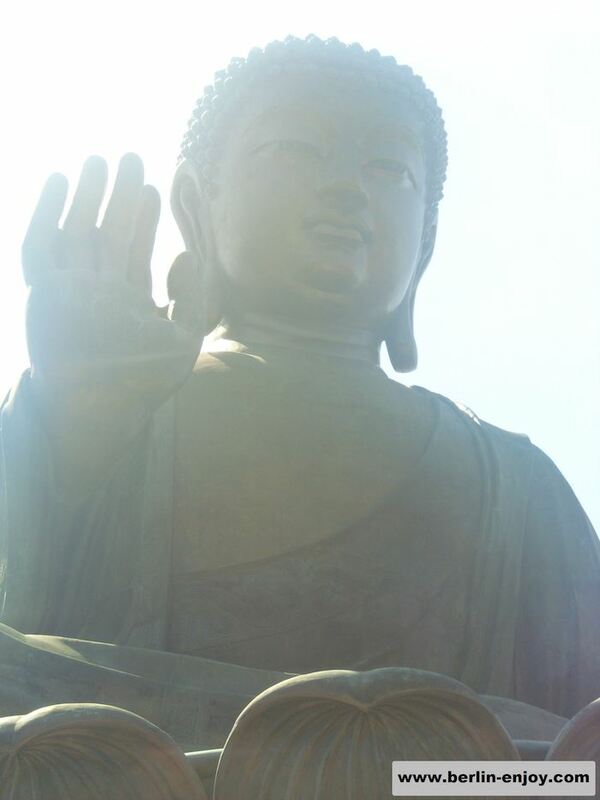 From the Tian Tan Buddha and the Po Lin Monastery it is a short walk to the so called Wisdom Path. 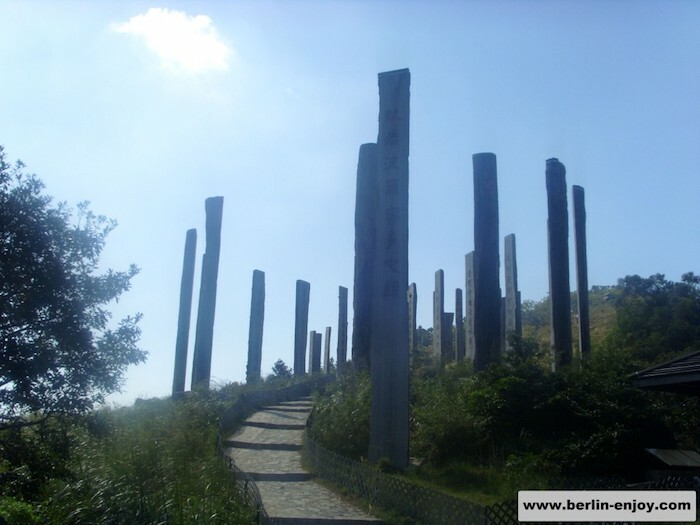 This is a path which is leading you around 38 different steles which are all decorated with old Chinese prayers. These prayers are verses from the centuries-old Heart Sutra. The Wisdom Path is located in the hills of Ngong Ping and can be reached by a famous cable-car. 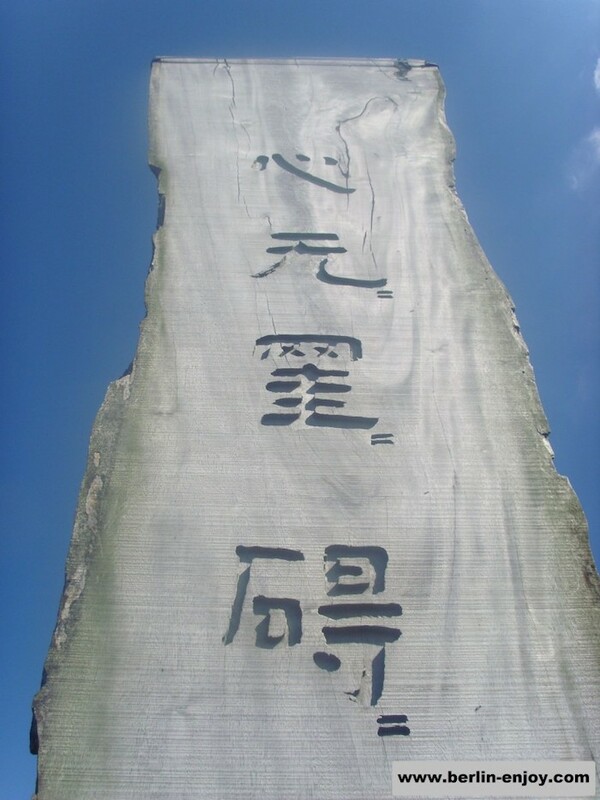 A very unique and special attraction in Hong Kong is the Ngong Ping 360. This modern cable-car experience takes you up in the air for about 25 minutes. The Ngong Ping 360 runs between Tung Chung Town Centre and Ngong Ping (on Lantau Island). 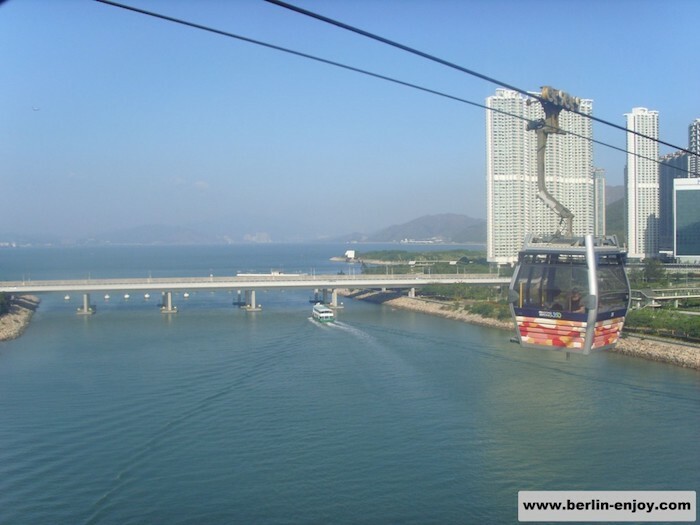 The cable-car takes you on a journey over water, trees and buildings. You will pass attractions like the Tian Tan Buddha, the airport Chek Lap Kok and see the skyline of Hong Kong from a total different perspective. I really enjoyed the Ngong Ping 360 and would advice every visitor of Hong Kong to try it. The costs for a roundtrip with the Ngong Ping 360 are about 13-14 euro (135 Hong Kong Dollar). You can order tickets in advance on the website of the Ngong Ping 360 but it was also no problem to book on the day of “departure”. Another attraction high above sea level is the Peak Tram. 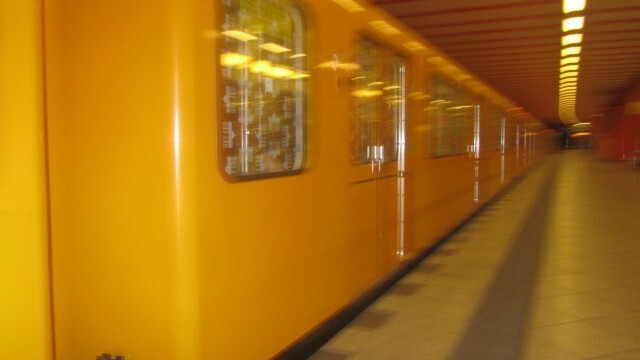 This funny little train takes you up a very steep rails to a height of almost 400 meter above sea level. There you will find the Peak Tower with some shops, restaurants and other entertainment. Don´t waste too much of your time there because the highlight of this location is defenitly the Sky Terrace: The roof of the Peak Tower gives you an incredable 360° view over the skyline of Hong Kong. It might be smart to plan your arrival at the Sky Terrace: Sunsets or sunrises always look good on photos. When you are finished at the Sky Terrace you can decide to take one of the so called Nature Walks. 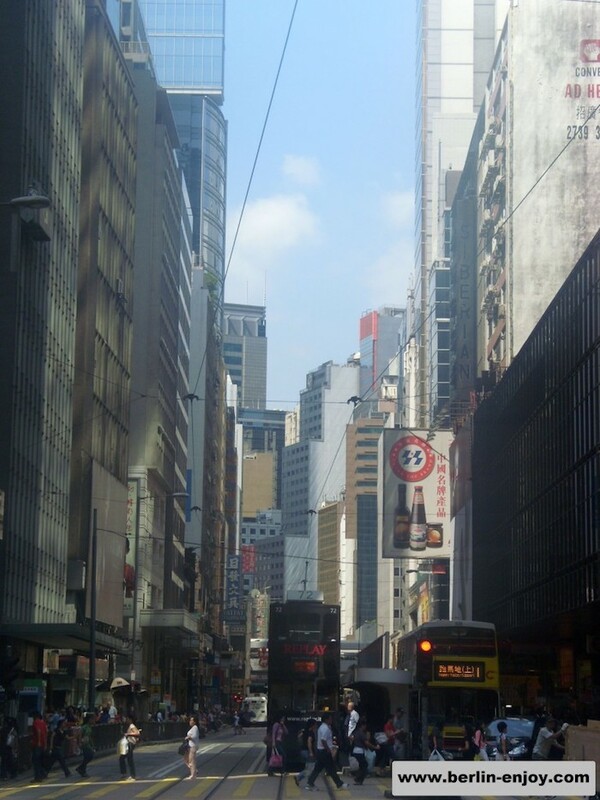 You can chose between 4 different walks which are all quite special because of the fact that you are walking on great height and that you are still in in the same crowded Hong Kong you arrived a few days before. The price of a combination-ticket for the Peak Tram and the Sky Terrace is about 7 euro (75 Hong Kong Dollar). With the combination of the great view, the unique trainride and the nice natural walks this is a very cheap attraction in Hong Kong. For more information about the Peak Tram, the Peak Tower and the Sky Terrace you can visit this website. 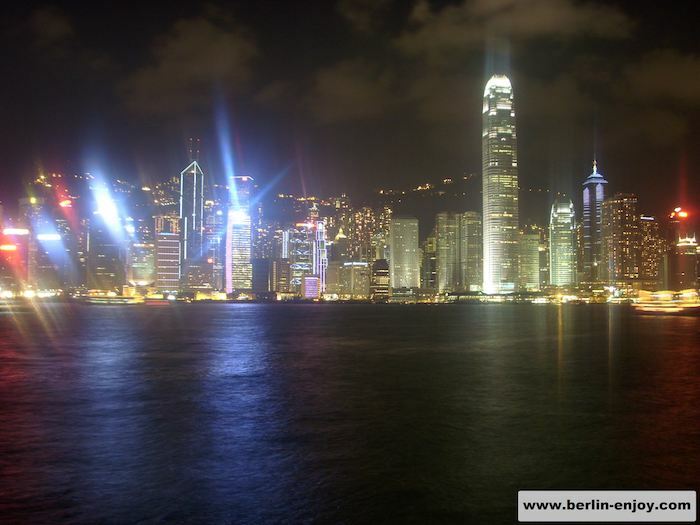 My last advice for your trip in Hong Kong is the famous Symphony of Lights. 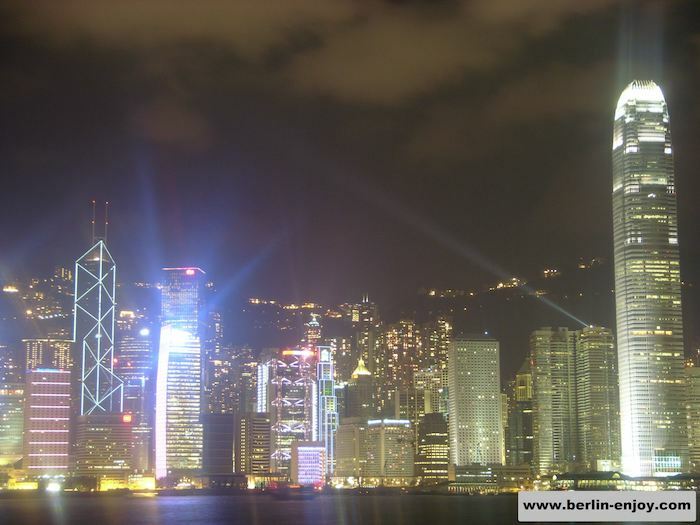 This is a lightshow in the middle of Hong Kong which can be seen every night at 20.00. 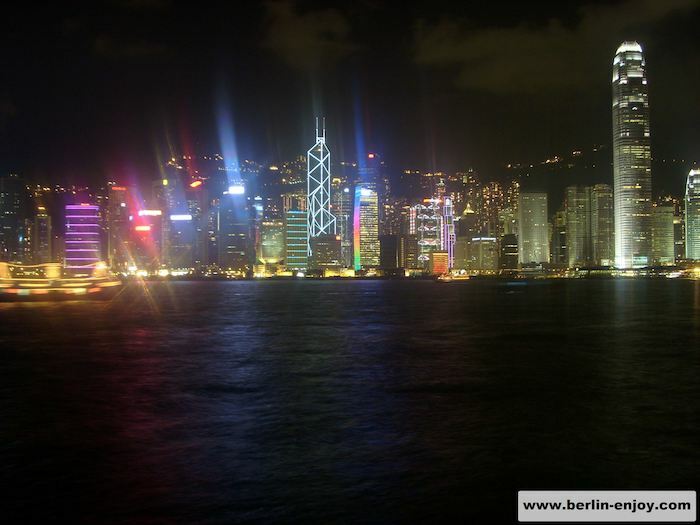 From the Tsim Sha Tsui Promenade you can observe how the skyline of Hong Kong gives you an awesome lightshow. The show takes about 14 minutes and not less than 44 different buildings are participating. The Guiness Book of Records has named the Symphony of Light as World’s Largest Permanent Light and Sound Show. Hong Kong might not be the most popular travel destination in the world but if I would get the chance to see it again I would not hesitate for one moment. As you can read above, attractions like Tian Tan Buddha, the Ngong Ping 360 and the Sky Terrace are worth to spend more than a few hours of your trip. Besides that it is great to learn about a new culture with new people, new types of food and many unique impressions.